I spent this past weekend at the Seattle MQG retreat on Vashon Island. I had a great time, sewed a ton, ate good food that I didn't have to make, didn't sleep enough, and came home happy to see my family and watch the Big Game last night. I had a number in mind when I was finishing up the light blues and dark blues, but I ended up with more than I expected. 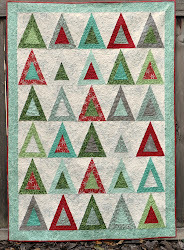 I had to make one more block at the retreat to finish up the last row, and it was kind of fun to use scraps that a few different people gave to me for that. This was an instagram photo and the bottom row is cut off. 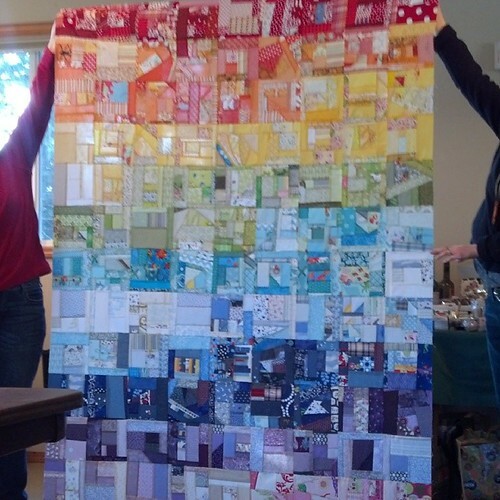 The quilt has 117 blocks in it. 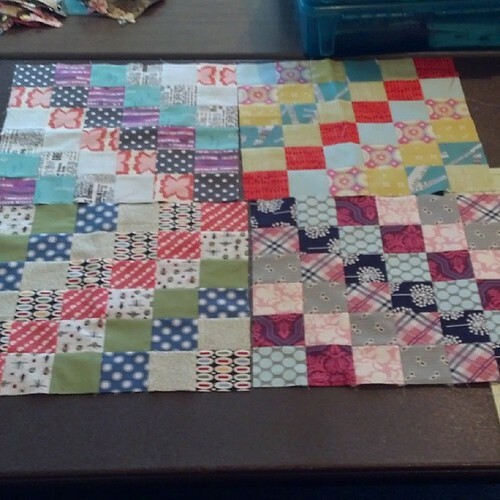 I pressed all the row seams open this morning and I'm hoping to get it ready to quilt later on this week. I have 21 of them now, not sure how many I will end up with. 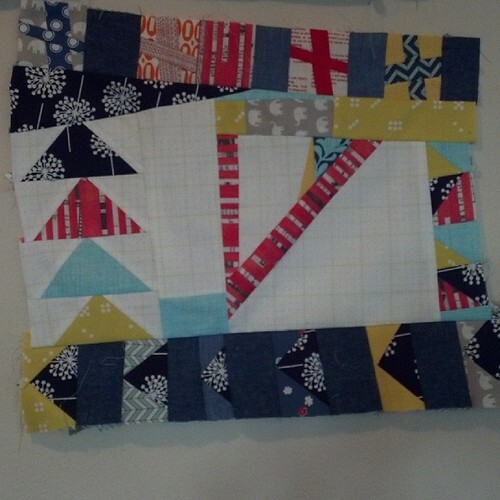 I'm not sure if I'm going to add more piecing or not, but it's a beautiful start and it was so fun to work with my group on this. 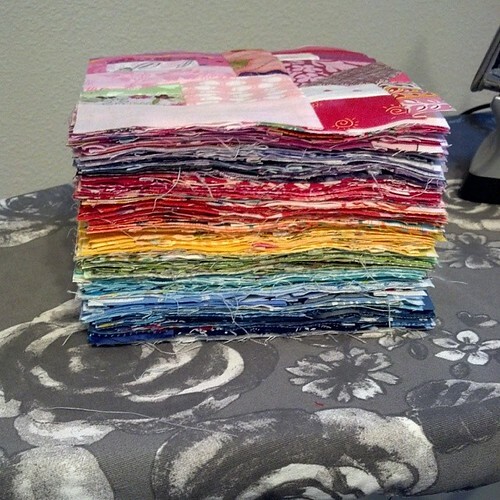 I think I'd like to do this on a bigger scale someday, too. Overall the retreat was such a good experience. I didn't know anybody in the group really well before going, but I feel like I made friends and it was so cool to get to know people better in a setting of sewing and chatting all day long. I love rainbow-y things! 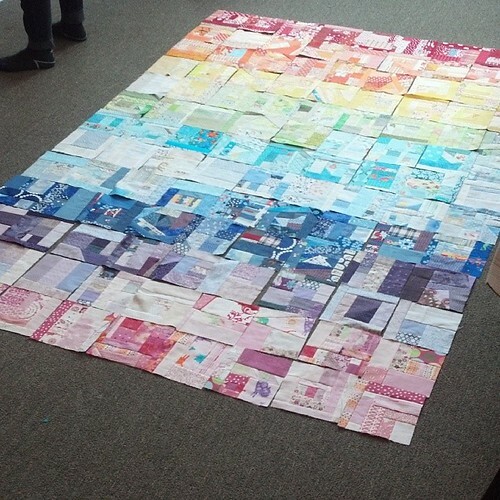 Your scrap block quilt is awesome!